Naomi and Scanlon Pratt are at the threshold of a new life. East Coast transplants to small-town Oregon, Scanlon has a position at the local university—teaching mass movements and domestic radicalism—and Naomi is pregnant with their first child. But everything changes when they meet Clay, a troubled young anarchist who despises Scanlon’s self-serving attempts at friendship but adores Naomi. As the Pratts welcome their newborn son, their lives become so deeply entwined with Clay’s that they must decide exactly where their loyalties lie, before the increasingly volatile activism that they’ve been dabbling in engulfs them all. 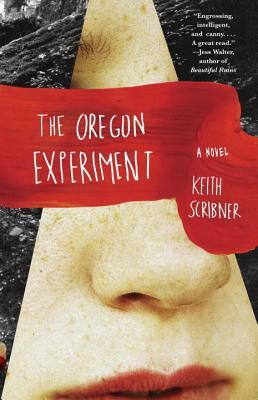 A love song to the Pacific Northwest, The Oregon Experiment explores the contemporary civil war between desire and betrayal, the political and the personal. Keith Scribner is the author of two previous novels, Miracle Girl and The GoodLife, a New York Times Notable Book and a Barnes & Noble Discover Great New Writers selection. He is a recipient of Stanford University’s Wallace Stegner and John L’Heureux fellowships, and is currently a professor at Oregon State University in Corvallis, where he lives with his wife, the poet Jennifer Richter, and their children.